1. He was born in 1971 at his rural home and started school at Githuya Primary School in Gatundu completing his primary education in 1983. 2. He proceeded to pursue his secondary education at Ituru Secondary School sitting for his exams in 1987. 3. Mr Kuria was later admitted at University of Nairobi where he pursued a Bachelor of Commerce graduating in 1993. 4. While at the University he was the treasurer of the Students Organisation of Nairobi University (SONU) which served a prelude to his entry into politics. 5. He has worked as an auditor, accountant and banker from 1994 when he started as an auditor at a firm and ended up at Standard Chartered Bank in 1995 as the head of business process re-engineering, Africa. 6. While at Standard Chartered Bank he experienced both his highest and lowest moments in his career, the highlight being in 1997 when he pioneered the bank’s hubbing process. However, in 1999 he lost an opportunity to become the bank’s head of operation which was taken by Jeremy Awori, now Barclays Bank CEO. 7. He left the country in late 1999 for a job at Al Rajhi Bank in Saudi Arabia where he became the manager of business process re-engineering a position that was availed to him by his former boss Chris Wingfield. 8. He married Joyce Njambi while in Saudi Arabia and together they have two sons aged 12 and 10. 9. His last stint in the corporate world was at Wamad Information Services in Dubai where he was the chief operating officer before leaving in 2007 to join politics. 10. In 2007 he joined the Party of National Unity (PNU) as Director of Programs and Spokesperson. 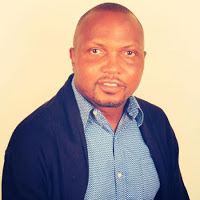 The change of career, Kuria says, was motivated by his patriotism to Kenya as he realized the tension that was there before elections would cripple the economy.